Mona Turnbull is the captain of our colourful Body Art Zone! She is a well-known UK artist and teacher who oozes creativity and has a sparkling personality that shines through her work. Her background is in business, but having always been drawn back to the world of colour she is now a freelance face and body artist. She has undertaken art study with some of the best in the business and also runs her own workshops from her studio and for various makeup schools. 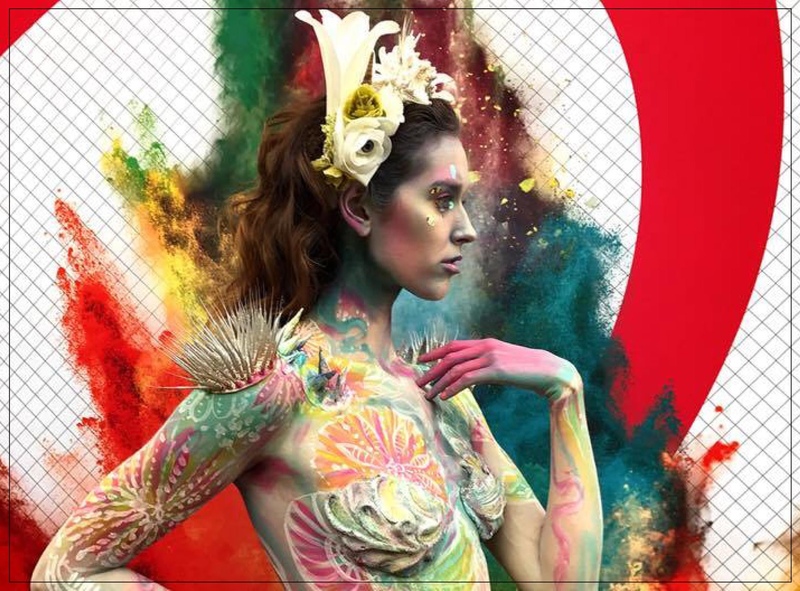 She is sought after as a regular demonstration painter at events such as IMATS London and for big brands like Kryolan UK, ScreenFace London and Makeup Atelier Paris. She is also a tutor at The Iver Academy, Pinewood Studios. Some of her work was recently featured in the TV series ‘Outlander’ and on billboards on the M5 near Birmingham and the M4 London!